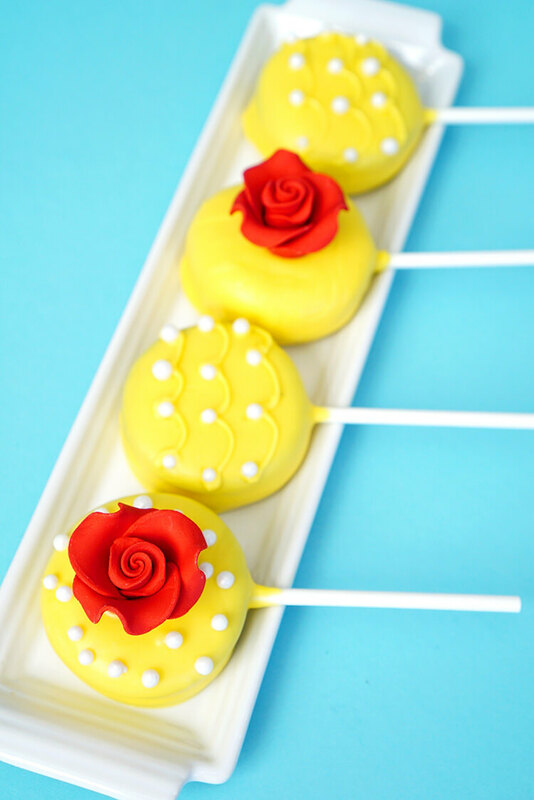 Beauty and the Beast Oreo Pops are the perfect sweet treat to celebrate the new live-action Disney movie premiere, and they’re super quick and easy to make! 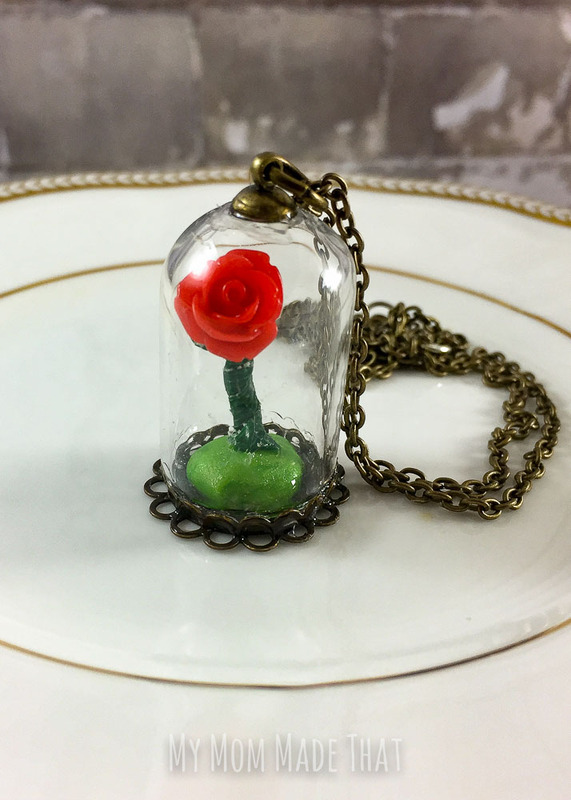 Beauty and the Beast is one of my favorite classic Disney movies, and I can’t wait to see the new live-action version that’s coming out this week! 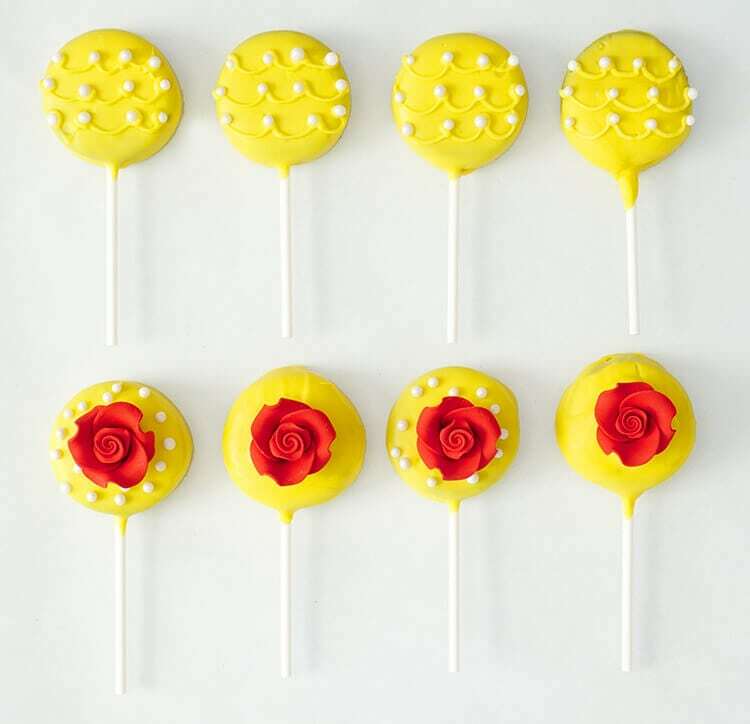 To celebrate the release of the film, I created some fun Beauty and the Beast Oreo Pops for my family to enjoy while we pass these last few days until the movie’s release. 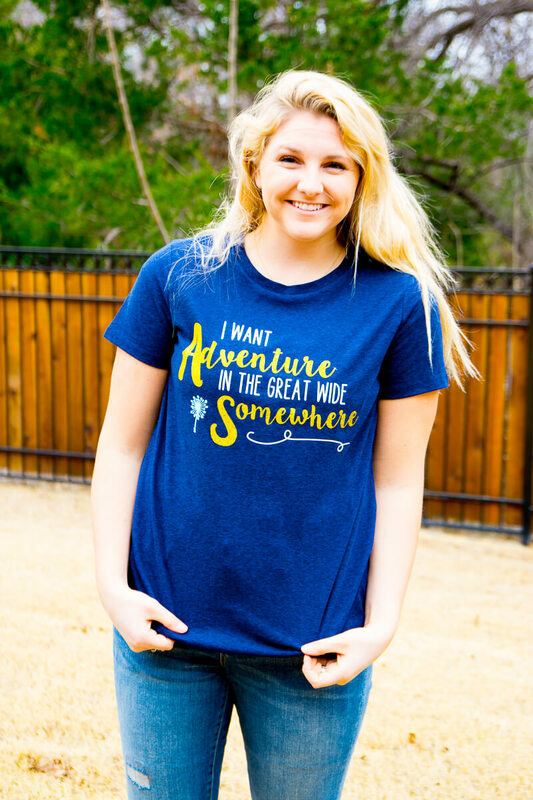 Did I mention that I seriously CAN’T wait!? 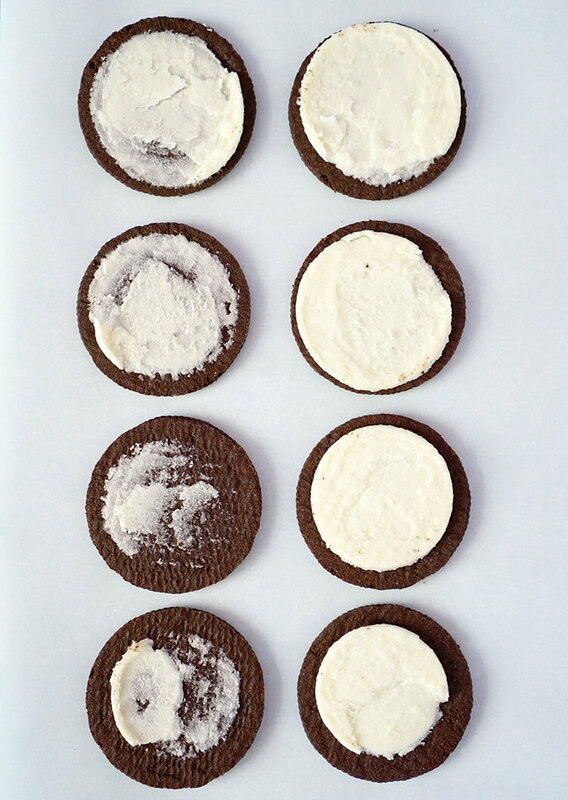 Start by carefully twisting your Oreo cookies into halves and placing the pieces side-by-side. 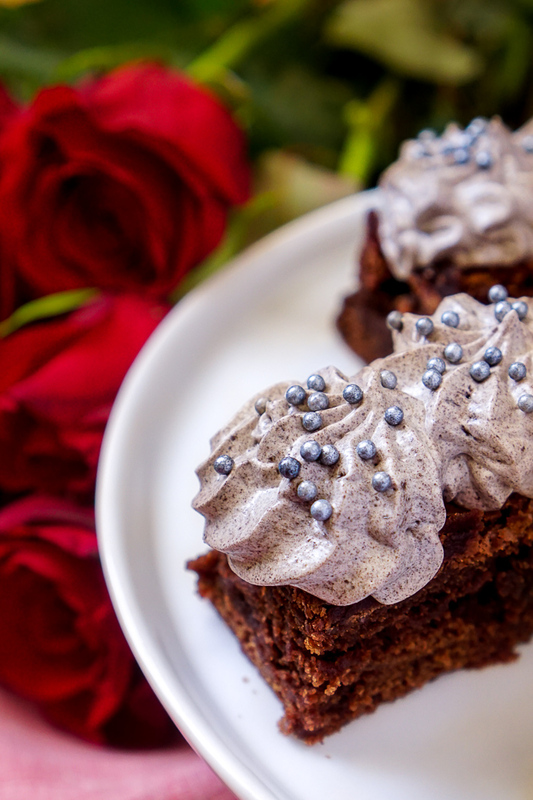 In a 2-cup Pyrex measuring cup (or similarly sized microwave-safe container), melt a handful of candy melts in the microwave in 20-second increments, stirring well after each. 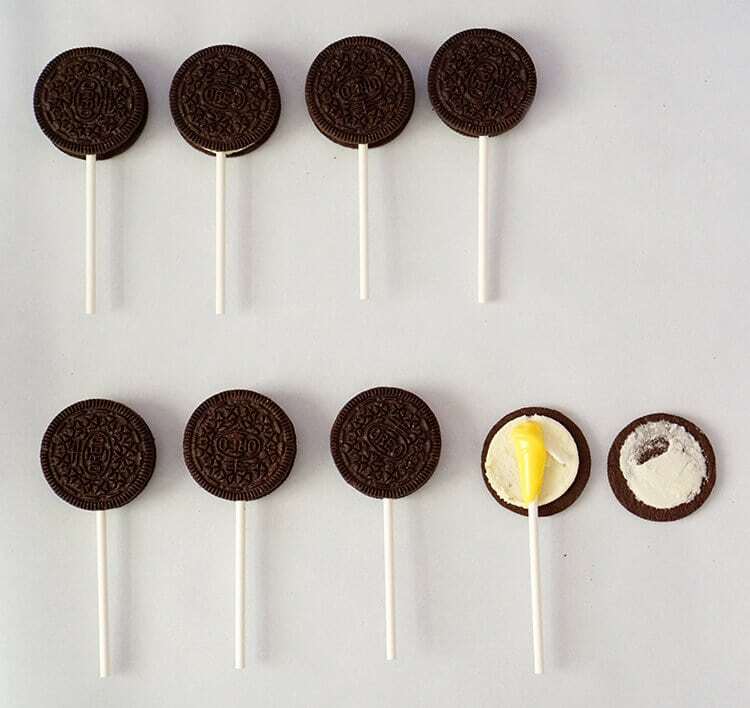 Dip the end of a lollipop stick into the melted candy, and sandwich it between both halves of the Oreo. 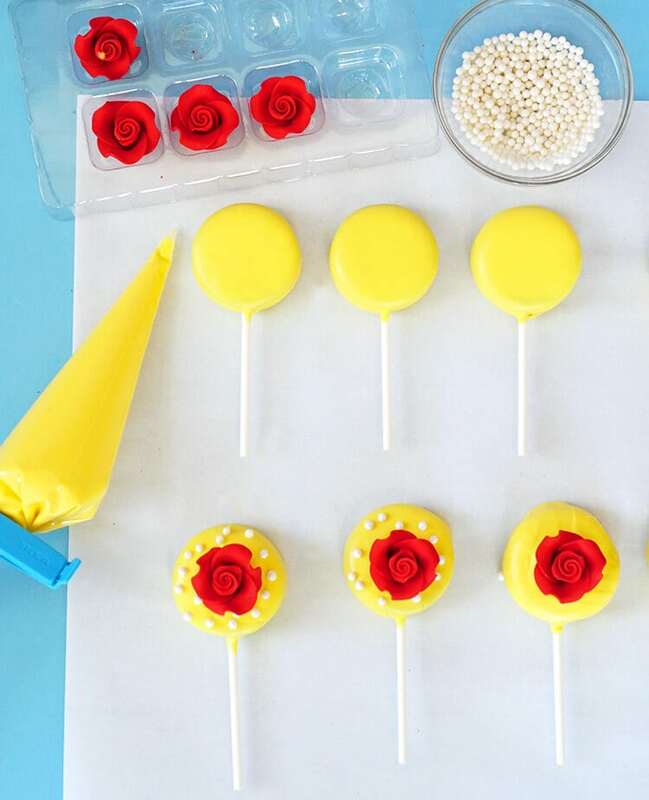 Allow the candy to cool and firm completely before moving on to the next step – a quick trip to the freezer will speed up the process if you’re in a hurry! 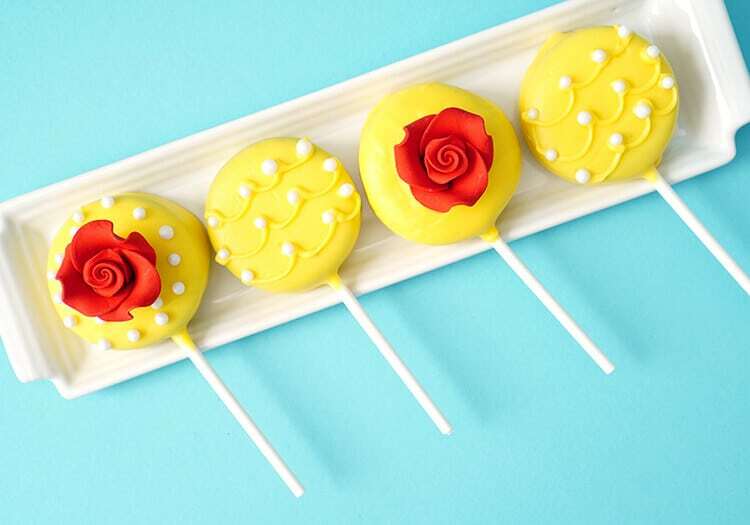 Get your decorations ready because once you dip the Oreo pops into the candy melts, you’ll only have a few minutes to add the pearl sprinkles and roses before the candy starts to harden again. 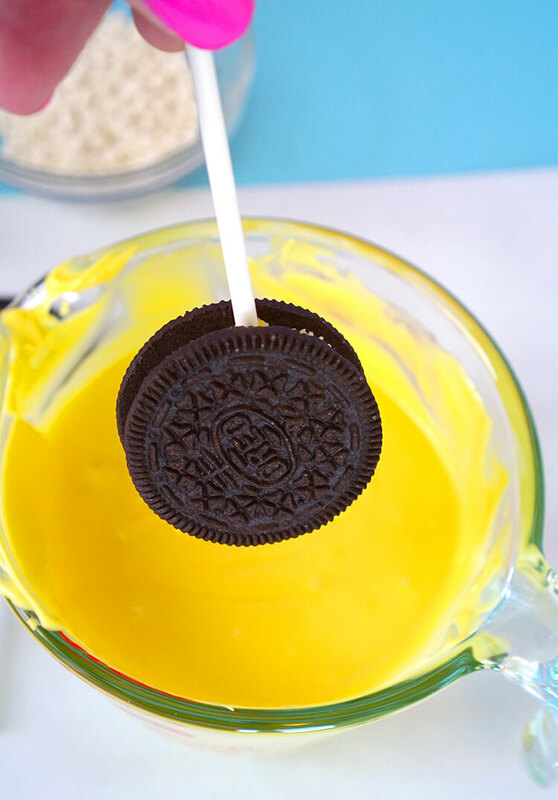 Fill the measuring cup 3/4 full of candy melts, and melt in 30-second increments, stirring well after each, until the candy is fully melted. 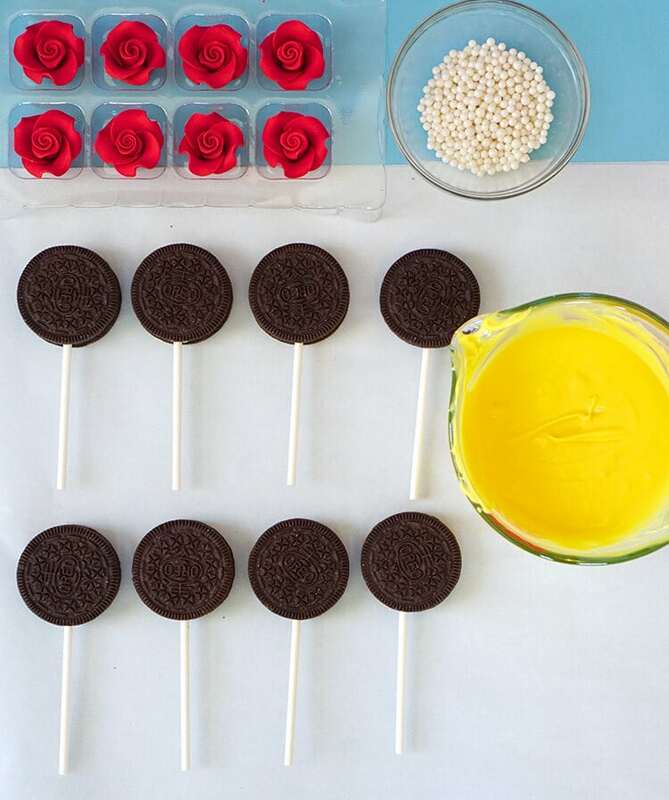 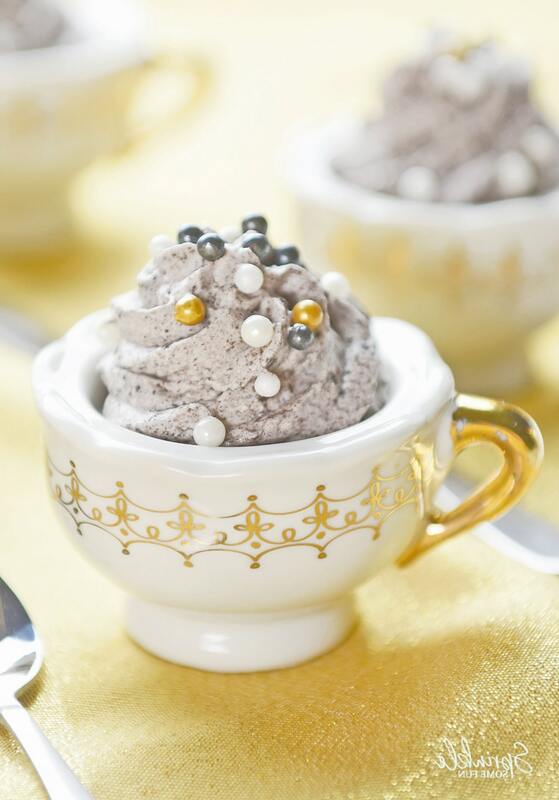 Decorate the Oreo pops with red roses and sugar pearls as desired. 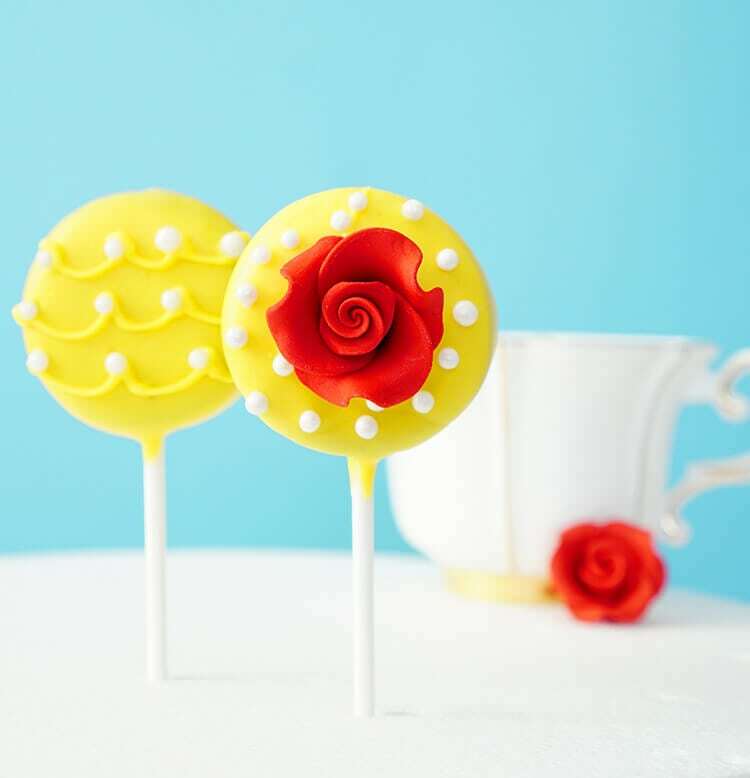 I decorated a few pops with red roses, a few with red roses and pearls, and I also made a few pops that resemble the skirt of Belle’s infamous yellow ball gown. 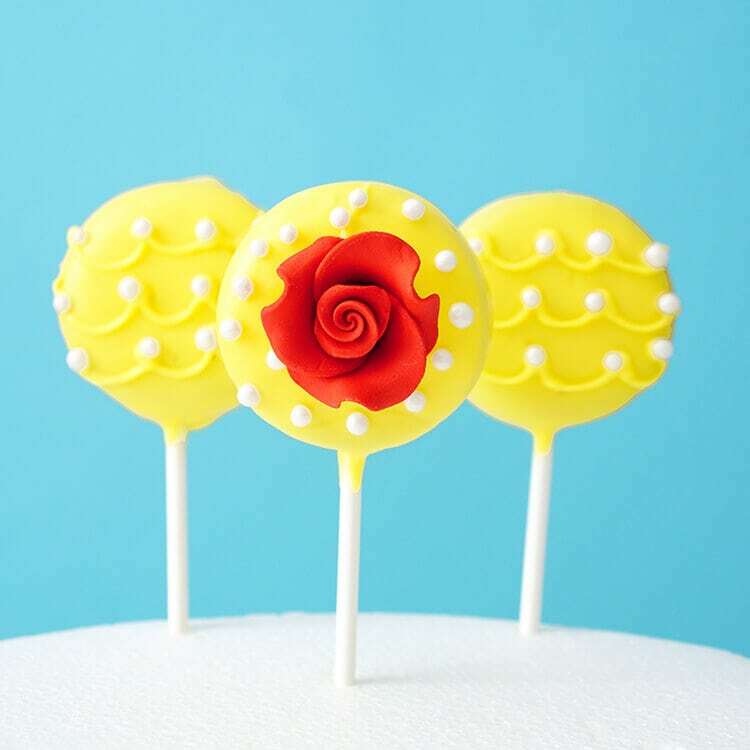 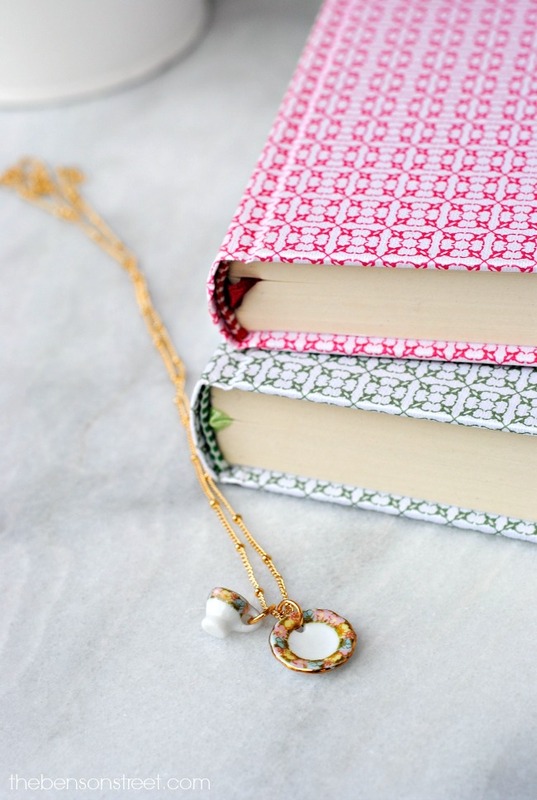 To make the ball gown pops, simply melt another handful of yellow candy melts in a candy decorating bag, and pipe a few scalloped lines across each pop, and embellish with sugar pearls. 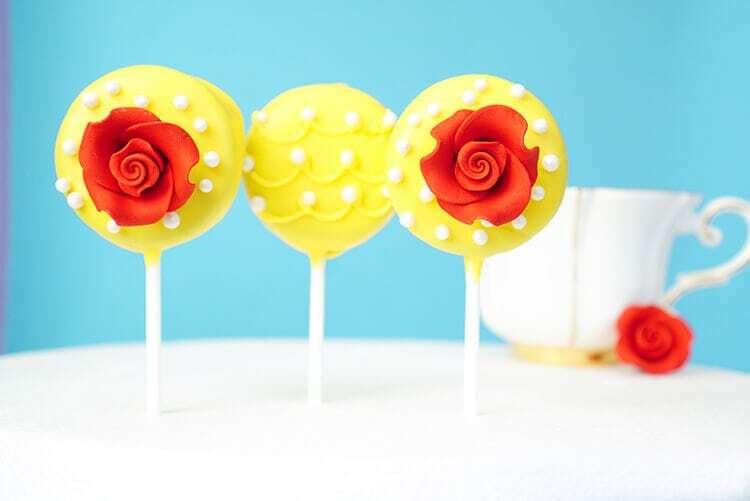 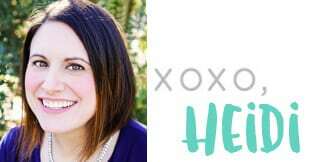 Easy peasy, and totally adorable! 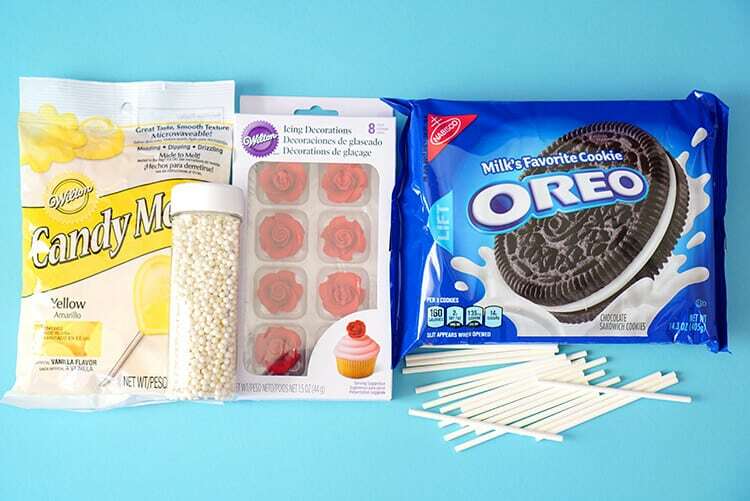 I’ve made quite a few Oreo pops in my day, but I think these are my favorite ones yet! 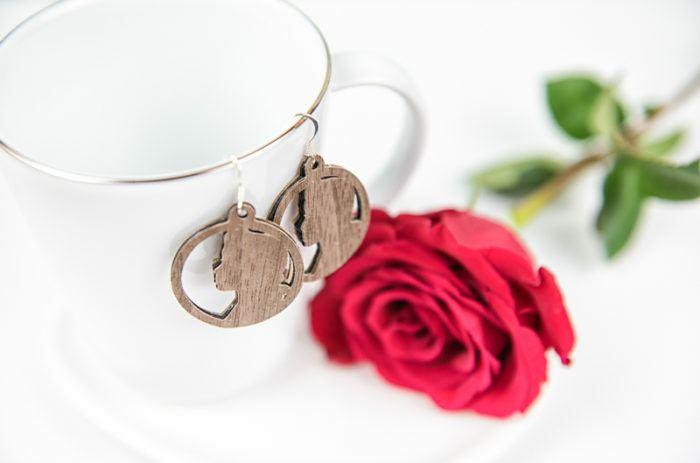 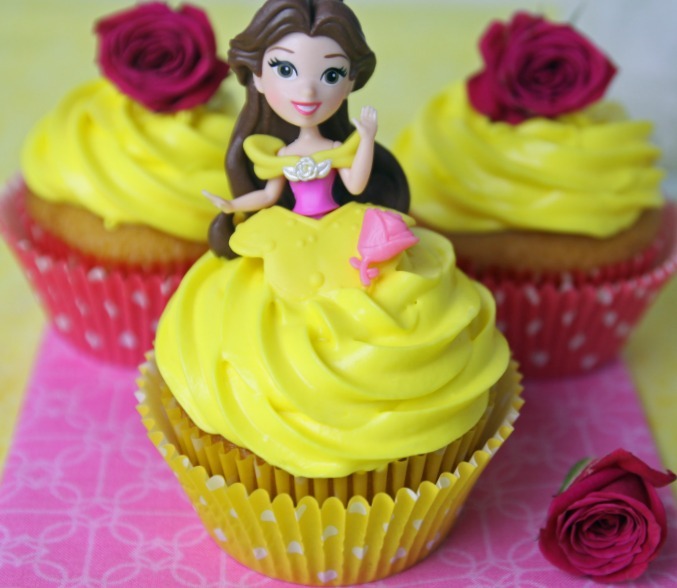 They’re just SO dang cute and perfect for Beauty and the Beast! 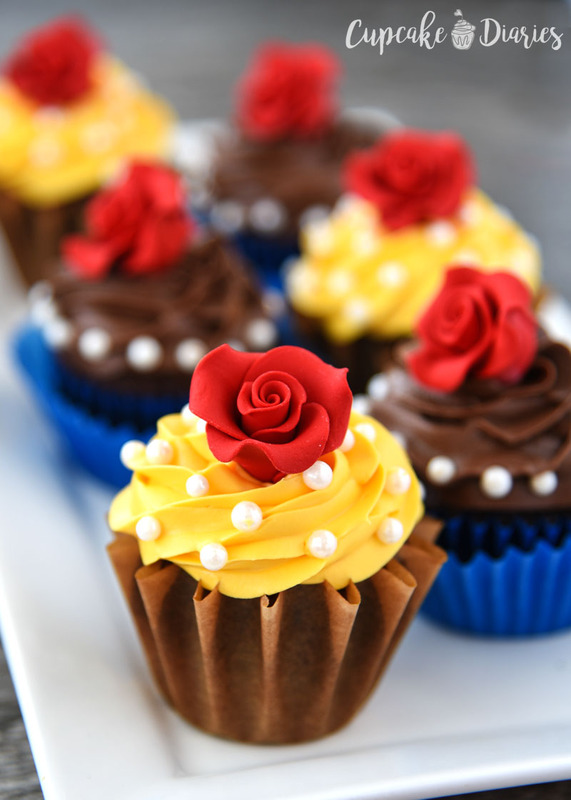 If you love Beauty and the Beast, be sure to check out these delicious recipes and fun ideas from my friends!